A perfect blue sky and light breeze set the tone for one of last weekend's weddings. Marybeth and Josh wed at the First Presbyterian Church in Irwin, PA, which is the town I grew up in. I have dreamt of photographing a wedding at this church with it's big red doors! So when Marybeth and Josh came to me I was beyond excited. 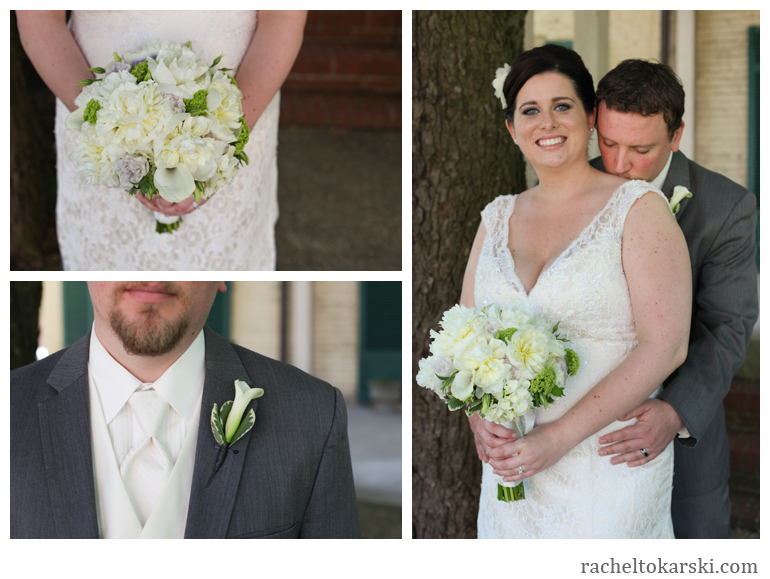 Marybeth's beautiful lace gown was complimented by flowers from Allison McGreary Florist and Josh's grey tux was made complete with a calla lily boutonniere. After a short but personal ceremony, Josh popped some champagne and Marybeth's contagious smile and laughter kept her new husband and bridal party relaxed while we photographed. The reception, held at Pluma was underway right on time. After touching and humorous toasts from Marybeth's sister/Matron of Honor, Annie, and Josh's Best Man, Reggie, the newlyweds and their guests enjoyed a buffet style dinner. Country music played and kids rushed onto the dance floor. Later in the evening, Marybeth gave away her bouquet. Less tossing and more chasing down the girl she thought it belonged to, her new brother in law's girlfriend! Laughs were shared, tears of happiness were shed as two families became one. 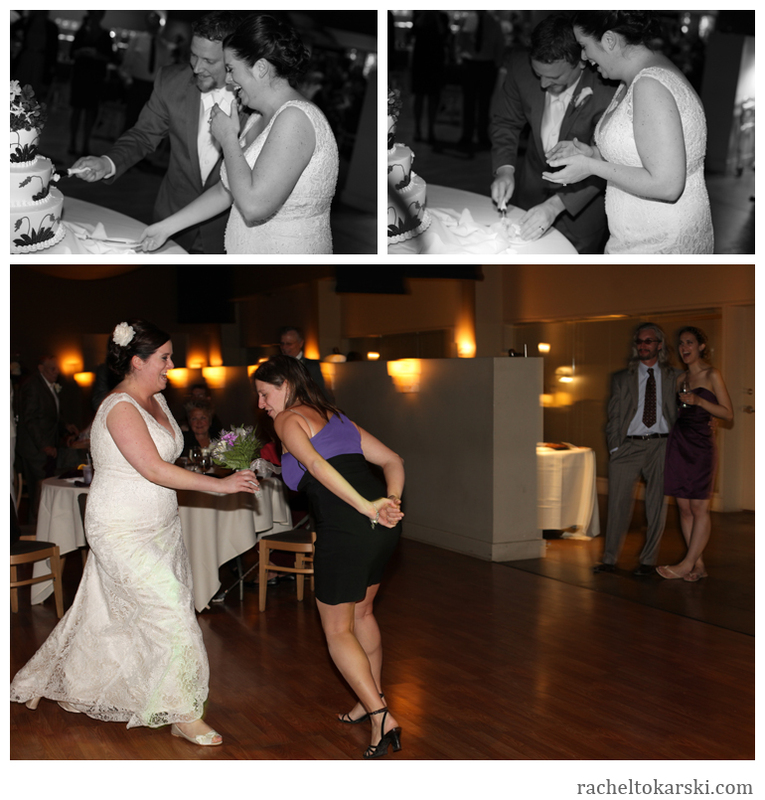 Love, tradition, a fantastic 80's band and oh so much dancing! A Penguins Hockey and North Shore inspired engagement session in Pittsburgh, PA.